Born in Shuri City, Okinawa, on February 13, 1918. Kenei Mabuni was the first-born son of Kenwa Mabuni - the famous founder of the Shitoryu style. Whilst living in Okinawa as a young child, Kenei Mabuni was influenced greatly by his father’s involvement in the martial arts. It was by watching his father teach, that he learned karate when he was very young. Kenei Mabuni also learned Kendo and Judo at school. As a young man he would often accompany his father on his numerous trips teaching Shitoryu Karate-Do. After his military service he returned to Osaka and resumed training with his father. Through constant training with his father, Kenei Mabuni was able to master the many Kata belonging to the Shitoryu style of karate. Following his father’s death, he continued to develop his skills, and succeeded his father’s original Dojo name – YOSHUKAN (meaning the cultivation of superior skill and spirit). 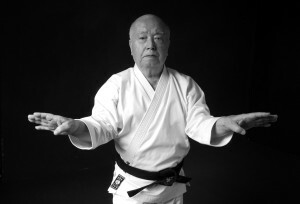 Following in his father’s footsteps, he began a series of trips teaching karate to people all around the world, his knowledge and expertise has been in global demand since the early 1960s. 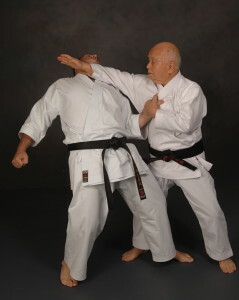 Kenei Mabuni has devoted his life to the study, the teaching and the promotion of his father’s unique karate system – Shitoryu Karate-Do. Principal Instructor Con Kassis has been the direct student of Master Kenei Mabuni for 30 years, giving us access to a great amount of knowledge. Our school has also been granted the unique privilege of using the original Dojo name - YOSHUKAN. The success of our academy is attributable to the invaluable guidance given by Master Kenei Mabuni.